Good morning, this is Topher, Gabriel, and Ethan from Washington Churchof Christ bringing you a Message Minute. Do you know why I write Message Minutes? It's because my family and I need a positive moment in our day and we think you might need it too. 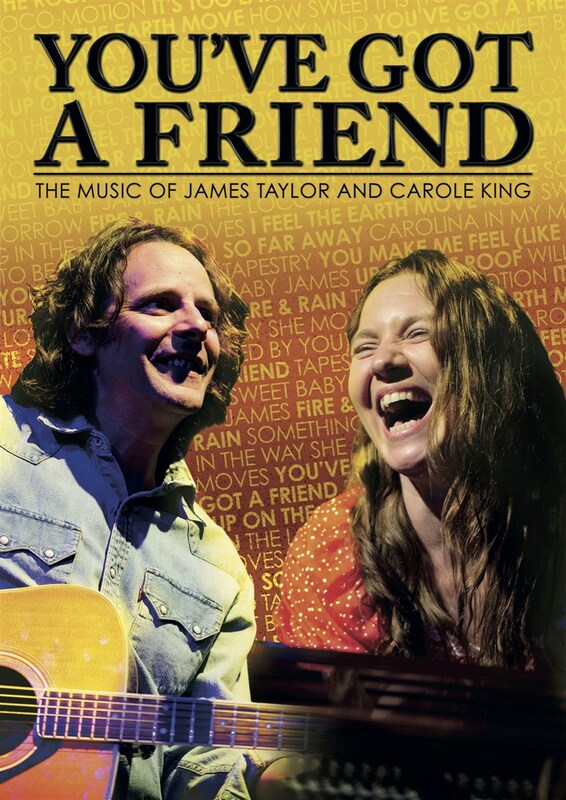 Today, let's focus on James Taylor's 1971 rendition of "You've Got a Friend in Me." Winter, spring, summer, or fall, all you have to do is call and I'll be there." I've got quite a few friends that will be there whenever I call and that's the type of friend I want to be as well. Yet there is a friend I have embodies these lyrics best. In John 15:15 He said these words. "No longer do I call you servants, for the servant does not know what his master is doing; but I have called you friends, for all that I have heard from my Father I have made known to you." Today, focus on being a friend like the one this song describes and focus on thanking that Friend that is the greatest of all friends, Jesus. You'll be glad you did. Want to listen to it on Youtube? There is a certain order to life isn't there? You crawl before you walk. You put gas in the car before you go on a trip. You heat a pizza before you eat it. Ok, so maybe some of you don't do those things in order and the results have been a little less than stellar. Here's one thing that I think we should do in the proper order for the best results. Paul says to Timothy, "I urge then, first of all, that petitions, prayers, intercession, and thanksgiving be made for all people, for kings and all those in authority, that we may live peaceful and quiet lives in all godliness and holiness." 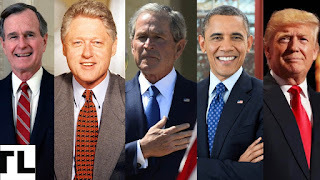 (1 Timothy 2:1-2) I've tried to live by this passage on priorities through the last four presidents of our country, and the results have been wonderful for me and my heart. Today and everyday, before you complain about a past or present leader, pray for them. Today and everyday, before you defend a past or present leader, pray for them. First of all today and everyday, offer petitions, prayers, intercession, and thanksgiving for leaders as you strive for a peaceful and quiet life. You'll be glad you did. I replied to a comment on social media with the impetus for this post. It shares the only argument I ever had with my dad in my adult life. May you glean wisdom from my mistakes and victories. Click to make it larger. P.S. 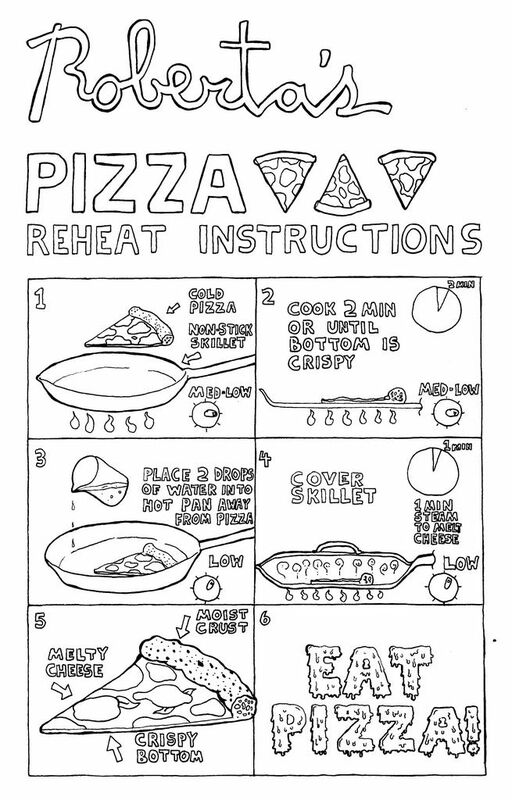 Just for good measure, this is how you reheat pizza. Click the image to view. She's beautiful, absolutely stunning, and she's got me wrapped around her little chubby fingers. My sweet daughter, Clara, is 8 months old, and every bit a source of joy in our lives. 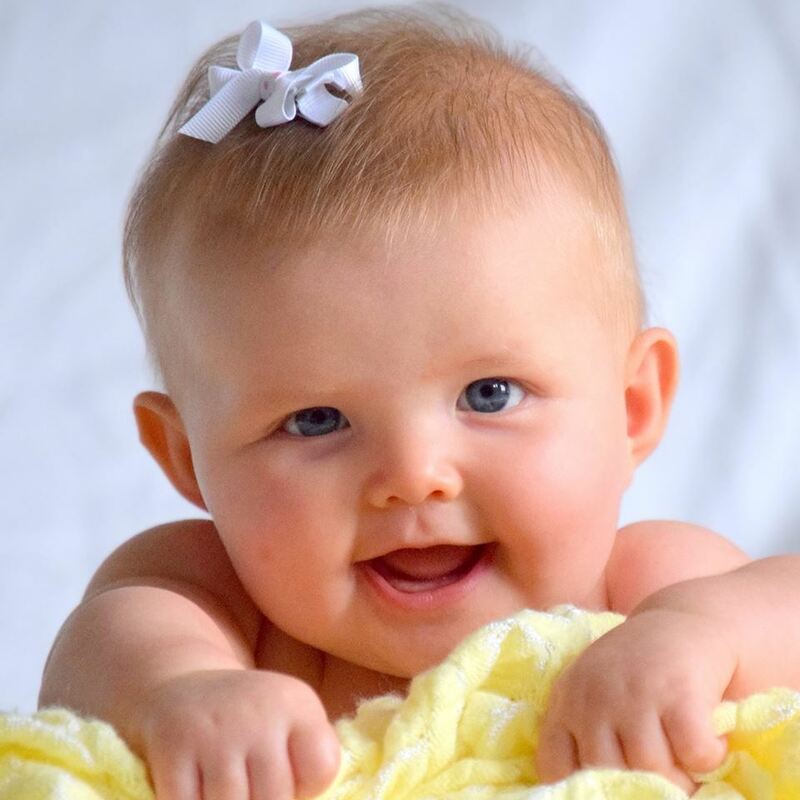 I come home from a long day's work and upon seeing Clara, I immediately choose to smile, partly because I want her to associate her father with positive emotions, partly because she is God's beautiful creation and she deserves a smile. When she sees my smile, little Clara, gives me that big, wide, mostly toothless grin back. That look of delight then really evokes a sincere smile from me. Then she smiles bigger, I smile bigger. She laughs, jumps, and giggles. I do the exact same. And it all starts with a smile. Remember Proverbs 17:22 today which gives important wisdom in our time, "A joyful heart is good medicine, but a crushed spirit dries up the bones." Smile at a stranger, smile at a kid, smile at your loved ones. Smile because it’s the most important clothing accessory you'll put on today. Turn that frown upside down knowing that it will be medicine to you and those precious people around you. You'll be glad you did. Valentines Day is just a little over two weeks away. What are you doing to make the life of your loved one better? For the next 16 days, I'd like to suggest that you focus on one statement a day from the 1Corinthians 13 chapter all about Love. 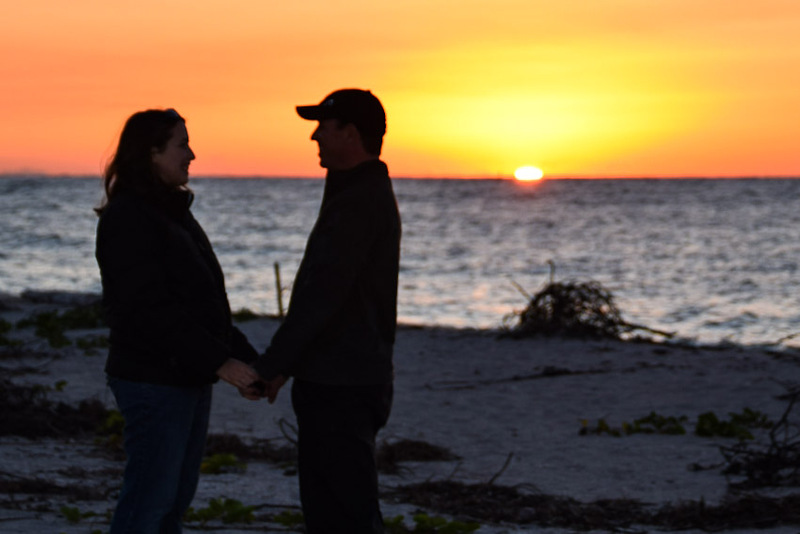 Ashley and Topher before a sunset in January 2016. Here's what Paul says love is not or doesn't do: not envy, not boast, not proud, not dishonor others, not self-seeking, not easily angered, keeps no records of wrongs, not delight in evil. Here's what Paul says love is or does: patient, kind, rejoices with truth, protects, trusts, hopes , perseveres. Take one of these per day, meditate on it, chew it over in your mind, in-grain it into the actions of your day toward your loved one. Change your daily habits starting now to give your spouse the best Valentine's day present ever. Love. You'll be glad you did. Now for the practical nuts and bolts. I want to share what I organized for myself. (Yes, I know my wife will likely read it, and I may lose an element of surprise, but it will still be a blessing for both of us.) Here's how it works out in my prayer and study calendar. Feel free to take this and modify it how ever you would like. This can be used for men and women alike, but it is written here from my perspective of how to love my wife. I've made this into a shareable Google Calendar. CLICK HERE to use it. I think you can add it to your own calendars by hitting the "+" button at the bottom of the calendars below. I hope this helps someone as much as it will help me! Pray for God's healing if there are any areas in the areas I am envious of my wife. Pray for her well being and her personal success in all her endeavors. Encourage her to spend a little time reading or on the phone with her family tonight, whatever she enjoys. Organize a babysitter so she can go do whatever she wants. Pray for my own words today. God knows that words have the power to hurt or heal. When someone compliments my family, give the proper credit to God and my wife. Try hard today to find opportunities to describe how great God and my wife are, not myself or my own abilities. Remember to tell God how appreciative I am for the gift of my wife. Use my words in a way that encourages her. Pray for my own humbleness. I know that I am the man I am because God gave me a loving wife that supports, encourages, and pushes me. Remember my own weaknesses and thank God for the way my wife compliments me and fills in my gaps. Remind her of how she is a wonderful compliment for me. Do not dishonor the important people in her life. Whether it is a quirky in-law or her wacky friend, endeavor to be complimentary of someone she loves and respects. I would do well to even try to read one of her favorite women's blogs and strike up a conversation about a blogger she respects. Seriously look at my upcoming expenditures. Am I spending on my tech toys while she's forgoing getting a nice and comfortable pair of shoes. Take a good look at my time commitments. Make sure she is getting adequate time in her schedule for her hobbies too. Seek her benefit in my earnings and time commitments. Check this one out without shrugging any infraction off. Take it seriously, Topher. During the winter time when I don't get to play sports as often or if our own intimacy tends to lack a little due to seasonal affective disorder (SAD), pay special attention to my tones, connotations, and emotion behind my words. Avoid getting angry at all, and pray for God's help. After all, this woman has sacrificed so much of her life to be with me and and raise our children. Good grief, undoing all my bad habits is getting tough at this point. That thing I'm keeping track of, where I feel at times like she isn't adequately meeting my needs or keeping up with it in the home. STOP IT. God remembers my sin no more, Topher, try to do the same. Instead, thank her for all the many things she is doing well! This one's a little tougher. I guess I need to check my movie and music requests. Is there anything that she doesn't like that I do or indulge in? Does it make her blush? If so, is it because it includes something that isn't Holy? If it does, I need to make a decision now to just get rid of it. Here we go, the positives of 1 Corinthians 13! YEAH! Today I'm going to quit rushing quite so much. I will make sure not to rush her when we go out today. I'll be attentive to the kids needs so that she can have plenty of time to get ready. I'll also be very cognizant that Sundays are tough on her as a mom, often showing up in her exhaustion on Mondays, so I'm going to make sure she gets the best patience and understanding that I can give on a Monday. Dishes, definitely dishes today. That would be a huge kindness to her. While I'm at it, check her list to see if there's anything needing to be fixed that I've been delinquent in. A little flowers on the dining room table could go a long way today. Today, I'm going to make sure we start and end the day in prayer together and I'll leave little scripture encouragement notes around for her to focus on. I think I'll focus on God's Love for her. Does it get anymore truthful than that? I think we'll have a heart to heart tonight after the kids go to bed. It'll be a good time to ask if she feels threatened or stressed by anyone or any event in life, especially if there are unnecessary requests I've made of her time. I'll listen intently before I work on my plan for protecting her from the stress or threat. Trust her. For me, that means trusting her with some decision that's really been working on me lately. Let her in on my own stress and concern that I've been holding back with. Trust that God gave this woman the wisdom that compliments my own and make sure I'm involving her in a decision. Plus, if there's a secret sin I'm struggling with, it's time to get it out and trust her grace. Today's a good day to focus on her dreams, goals, and aspirations. What does she hope for? Listen intently with undivided attention and focus on one, Topher, and make dream, goal, and hope plans together. Make her hopes happen. Pray, Pray, Pray. I've done some good things for my wife in the last couple weeks while focusing on 1 Corinthians 13. Set up my own plan or a new weekly calendar to make sure I'm doing this all year round. Don't give up now, Topher, you're just getting started! Pray for Perseverance and have joy while I keep doing these loving acts. Also, don't forget that these weren't meant for you wife. They were meant for me to display to the church in my interactions. Make sure I'm incorporating others in these plans. Remind my wife that God's love for her never fails and that my commitment, modeled after God, is that my love will not fail her as long as breath lives within me. Today, on top of doing something sweet for my wife (which I won't describe here in case she reads it), I will pick out at least one widow to do something sweet for, just to remind them too that God hasn't forgotten them. His Love never fails. The OB, Ashley, and I birthed big grins when the baby's heartbeat jumped over 30 points in a short time. Just a few weeks later, on January 25th, 2007, that little child changed residence from Ashley's warm and loving womb to our warm and loving arms. 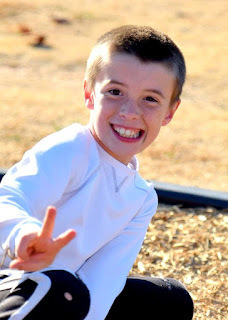 Now, ten year's later, because of God's gift of life, we're singing two songs today to Gabriel, "God is so good" and "Happy Birthday." Today is a good day as any to appreciate the life of another. It doesn't need to be a birthday to reach out to someone else, tell them you love them, write them a note appreciating them, or sing them a song of thankfulness. Whatever you do, strive to appreciate the gift of someone else's life today. You'll be glad you did. Good morning! This is Topher from Washington Church of Christ bringing you a Message Minute. Last night I met for several hours with a group of about fifty women who were protesting in Washington. No, they didn’t yell angry epithets at Washington DC, but they gathered for a positive declared purpose as they traveled to a community building in Washington, Indiana from distances such Bloomfield, Vincennes, Evansville, Oaktown, Montgomery, Cannelburg, Loogootee, Odon, Petersburg, Birdseye, Patoka, Edwardsport, Jasper, Bicknell, and French Lick. These wonderful women humbly and peacefully protested against the sinful nature of this world as they declared the truth of the following words from the Bible in Romans 8:15 when it says, "For you did not receive the spirit of slavery to fall back into fear, but you have received the Spirit of adoption as sons and daughters, by whom we cry, Abba Father!" My sincere thanks goes to Mary Teresa, Donna, and the many other ladies who gathered for such an honorable declaration. Today, listeners, strive to follow the example of these wonderful women and spread not a spirit of fear to those around you. Instead, spread that sweet Holy Spirit that uplifts others as children of God. You'll be glad you did. P.S. If you are a woman looking for women of faith on whom you can grow with, let me know via social media or email "topherwilesATgmailDOTcom" (I don't want spam bots picking up that email address) and I'll be happy to connect you with my wife, women at church, or any number of faithful women in our surrounding communities. Fear, it can bring out the best in some people. Fear, it can bring out the worst in some people. I believe we are seeing some of that in the culture of media today. We are fed the notion that everyone is in fear for their lives, their safety, their jobs, their liberty and more. I believe that the early 1900's author Oswald Chambers was right when he said, "The remarkable thing about God is that when you fear God, you fear nothing else, whereas if you do not fear God, you fear everything else." The Bible supports that in acknowledging that the fear of the Lord is the beginning of wisdom. (Proverbs 9:10a). Putting fear in it's proper place can have profound affects on our lives. Today, try hard to set aside all your fears in this world by focusing on "the fear of the Lord." You'll be glad you did. Here's a repost of a positive Message Minute from June 16th, 2015. Listen to those cute voices! Good morning, this is Topher, and Gabriel, and Ethan, from Washington Church of Christ bringing you your message minute. That may the attitude you're feeling at this moment while you're slogging your way through puddles on your way to work. Today we want to remind all of our listeners of one simple truth, "You cannot live a positive Life with a negative mind!" Solomon would agree as he wrote in Proverbs 17:22 "A joyful heart is good medicine, but a crushed spirit dries up the bones." Friends, my to do list is longer than the hours in the day right now, which is why it would have been easy to be bummed when the rain interrupted my house remodel yesterday afternoon. I was blessed to be with the kids while working, which reminded me to be positive and turn that rain cloud into a rain bow. So boys, what did we do? We made a slipnslide, and we never looked back. Choose today, no matter rain or shine, to have a joyful heart. Living Lesson: Have We Made an Idol of God? I know it sounds absurd. You've lived your whole life going to church, saying your prayers, tithing your income, and staying away from things your preacher told you were taboo. Basically, you've tried to be a good soldier in the Lord's army and you know that serving a man-made image is idolatry. How could you fall into Satan's trap of idol worship? In our Wednesday Evening adult Bible Class study we've made great progress through the first ten chapters of Deuteronomy. Yet one theme that is frequently a revisited bump in our road is idolatry, the chasing of false gods (Deut 5:8). Why would Moses keep repeating the dangers of idolatry to a people who had been in such close contact with God? 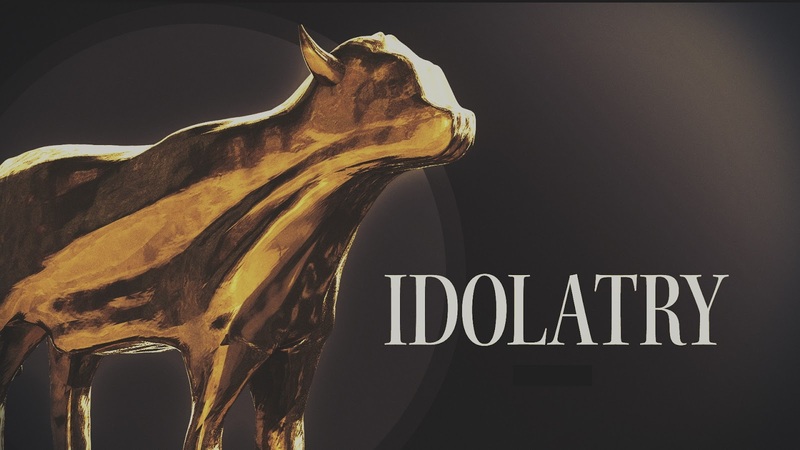 Could we be guilty of idolatry today? I think some of the issues at the heart of idolatry in the Bible are the same that "Christians" struggle with today. Use these following two idolatrous ideas as an initial litmus test as to whether or not you have idolized the Father, the Son, or the Spirit. 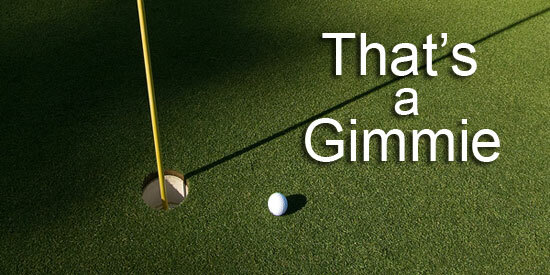 The Gimme god - This mindset occurs when someone uses God as a means to an end. Think back to the Old Testament conversations on idolatry. In order to become fertile, people would worship a fertility god (Deut16:21). In order to receive rain, they would worship a rain god (Jer 14:22). Safe passage was sought by worshipping the god of seas and victory on the battlefield only came through prayer to a god of war. Is this notion so far off from today? Do you know anyone who prays to God primarily when they want something? Removal of a disease, safety in travel, and blessings to win the local lottery have been the subjects of the primary prayer life for a lot of people. Making our God as a means to an end is refashioning the Almighty Creator into a Santa Clause idol, the Gimme god. Do we specialize in idolatry today? The Personalized god - I believe that God is THE personal God, knowing the number of hairs on our head (Lk 12:7) and loving us deeply (Rmns 8:37-39). Yet I am concerned with our conversation about Him when we say things such as, "Well, MY God would never do something like that," or "I just can't believe in a God like that." I don't believe these conversations will pass muster for legitimate theological arguments. 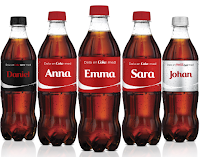 Today, we get to personalize everything. From your meal at McDonald's "hold the onion," to the color of your car, "Can you get it in red?" we get the option to choose the size, color, and shape of just about everything in life. 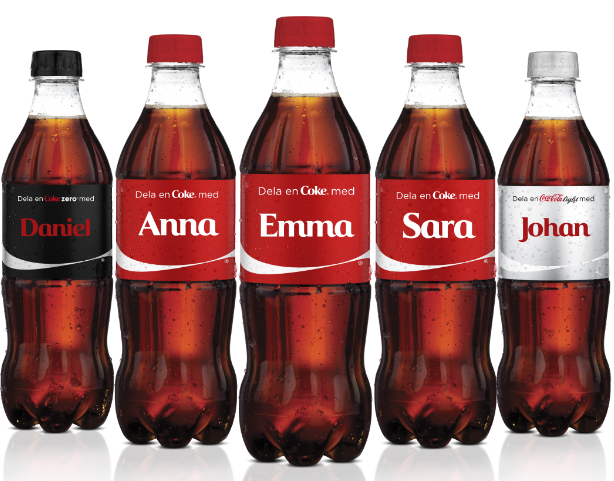 You can even get personalized Coke bottles with your name on them. Our culture is well adept at changing God when it says, "I don't like that Jesus said, 'Whoever divorces his wife, except for sexual immorality, and marries another, commits adultery.' (Matthew 19:9) Thus we change the definitions of marriage to fit what we like. If we are picking and choosing scripture to accept, we may be guilty of shifting from the Personal God to a personalized God. Self-control has always been a hard discipline for me. 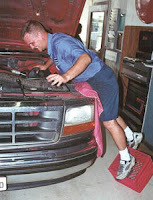 I remember as a young man the time I had the hood popped, leaning over my engine standing on a milk crate, and suddenly the crate slipped and tipped! I fell and wacked the back of head on the hood. It was everything I could do to hold back my tongue and my body from lashing out at anything to release my frustration. Yet, I knew self-control was something I wanted, and that day I proved victorious in the battle over myself. I believe in the power of prayer, the accountability of friends, and in the power of Jesus Christ to change lives. Today, put forth effort to control your unwanted impulses and urges. Ask God and friends for help and direction as you battle to gain control of yourself. You'll be glad you did!